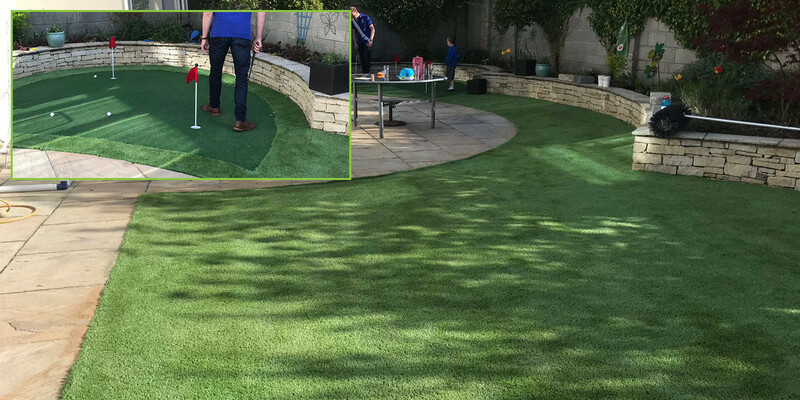 More and more homeowners are opting for artificial grass for their outdoor space as a durable, low maintenance solution to natural grass. 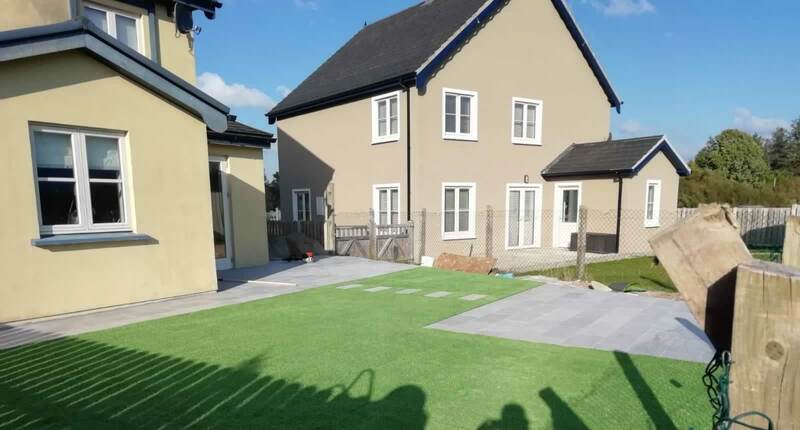 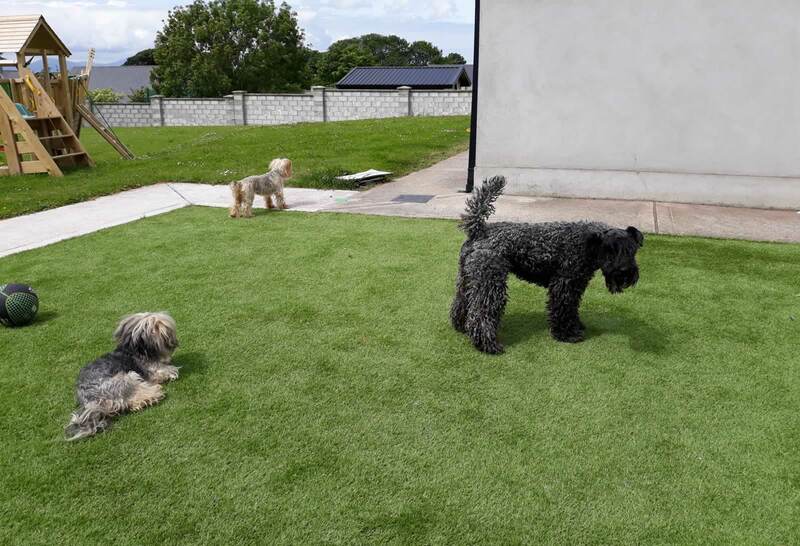 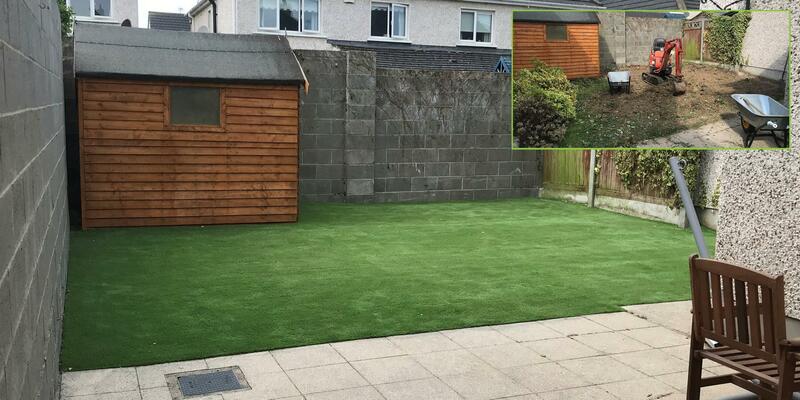 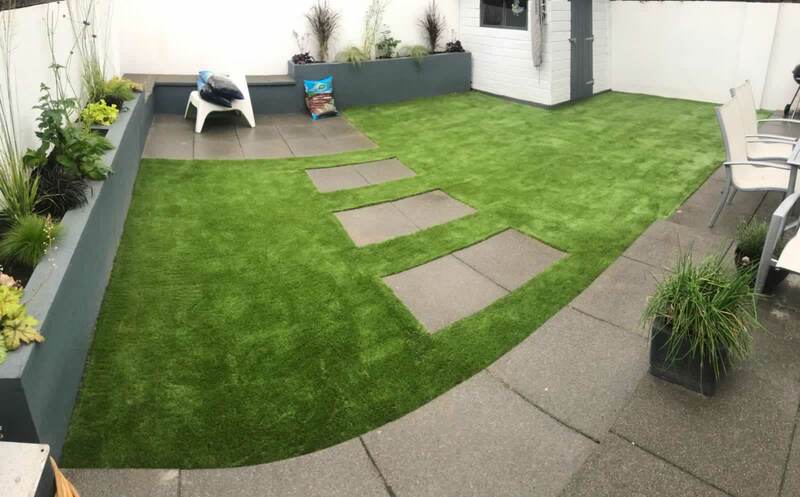 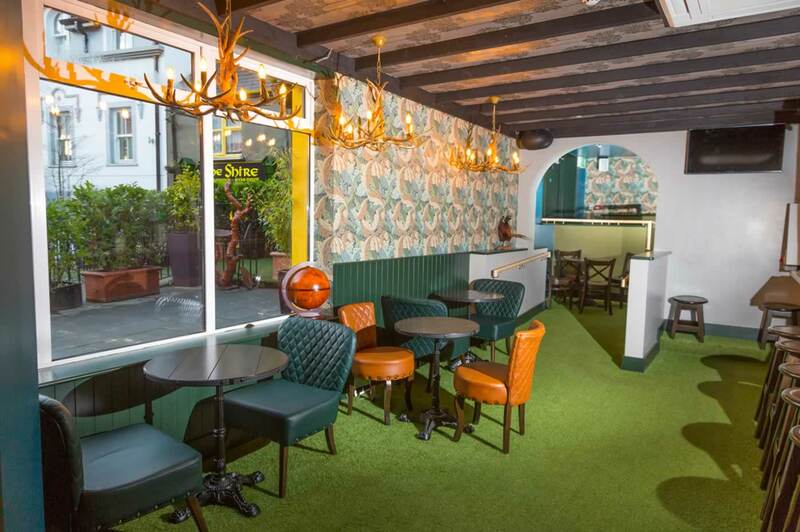 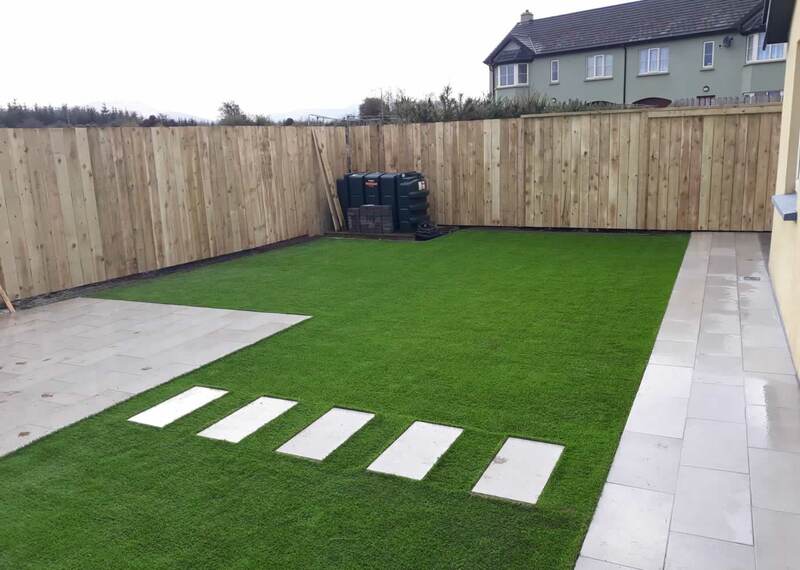 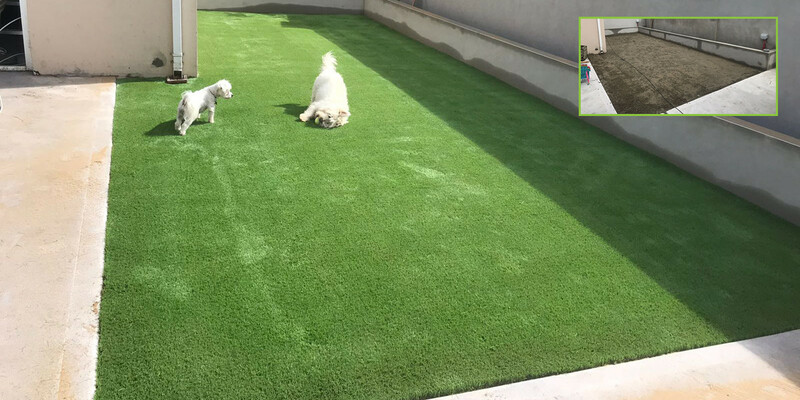 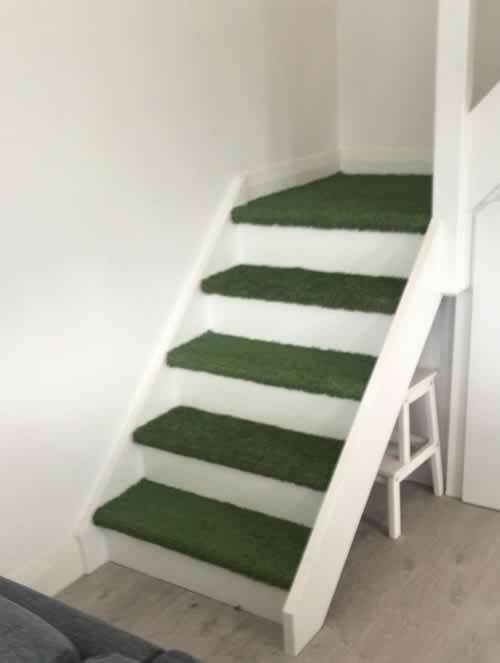 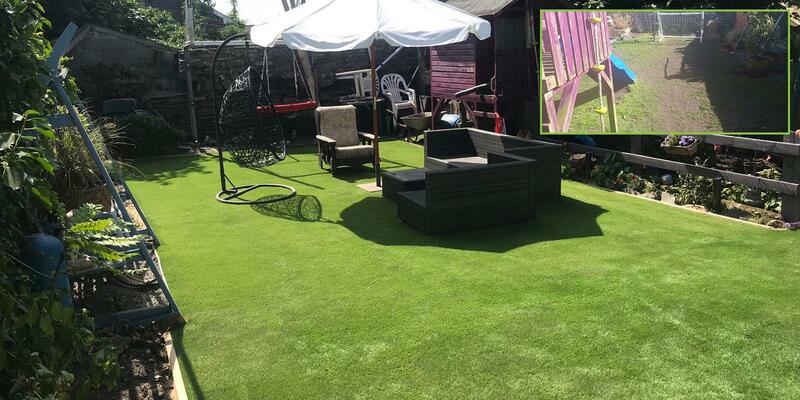 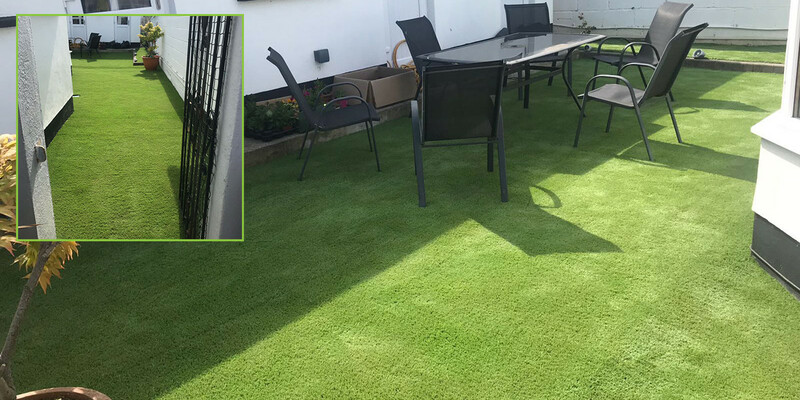 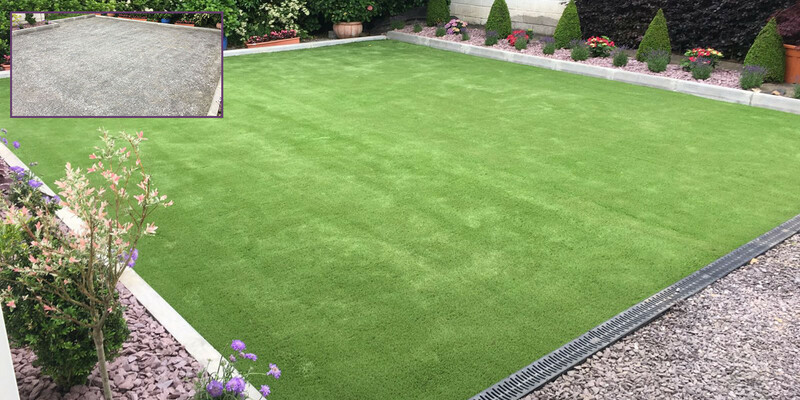 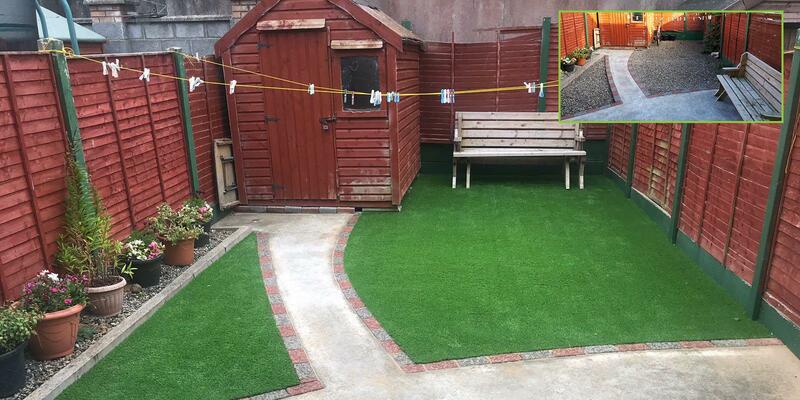 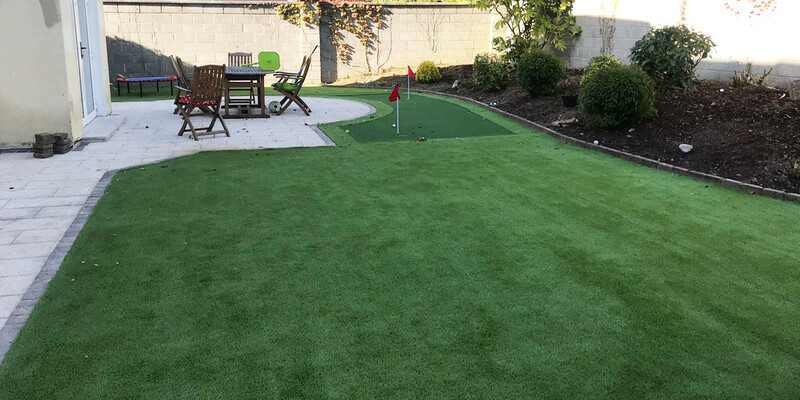 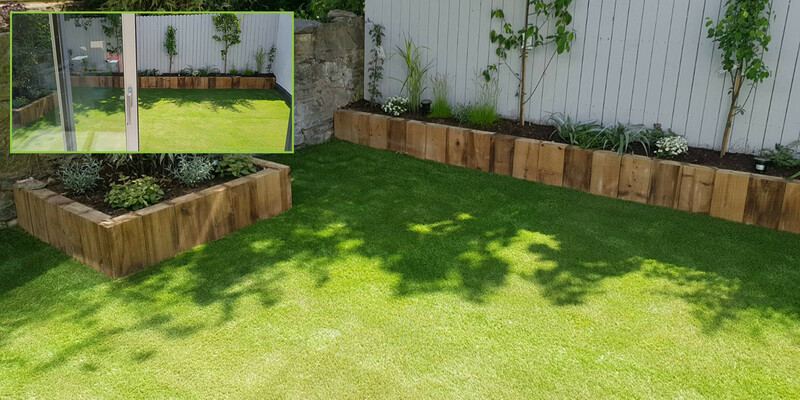 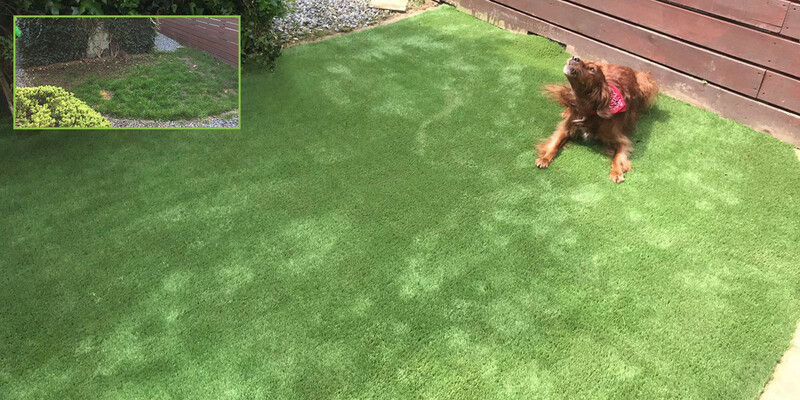 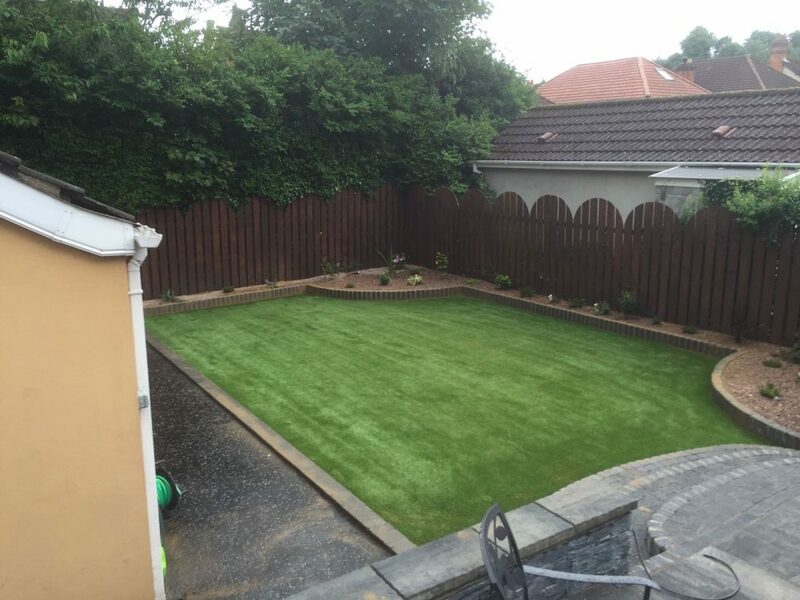 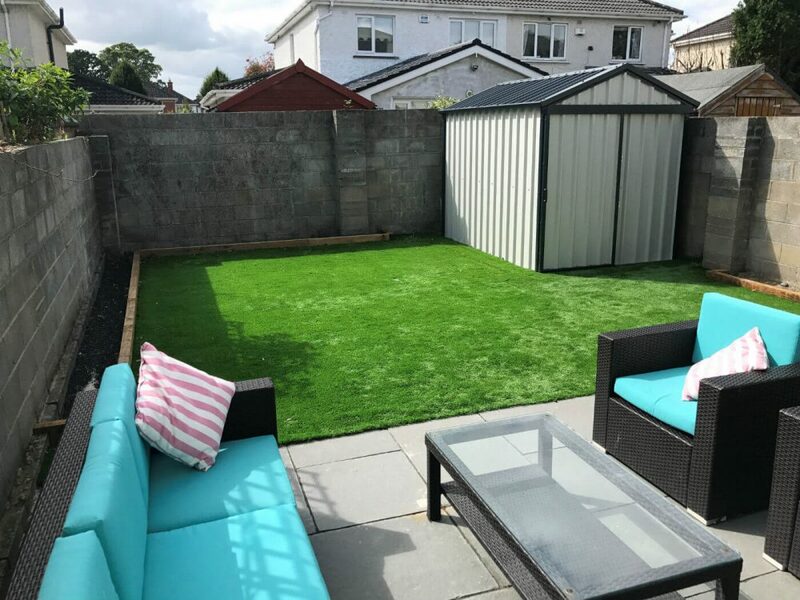 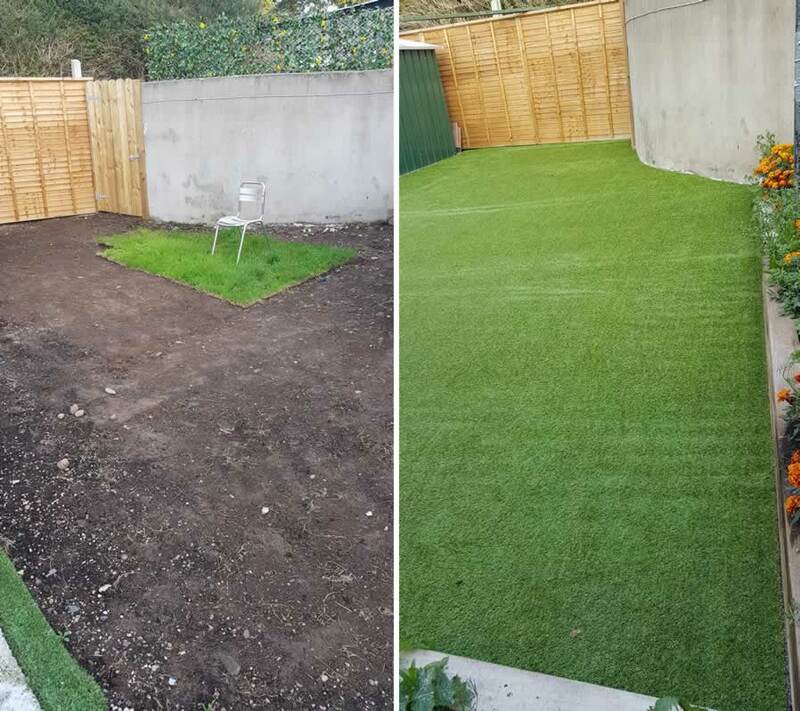 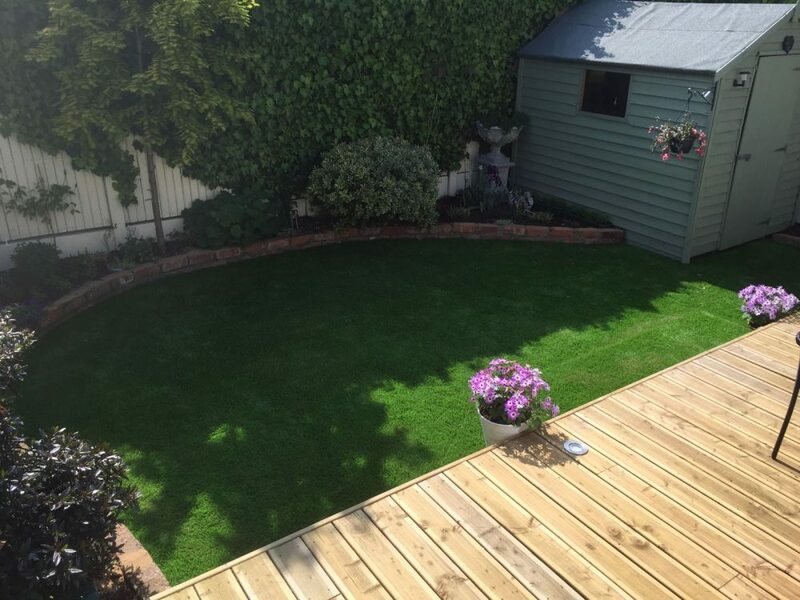 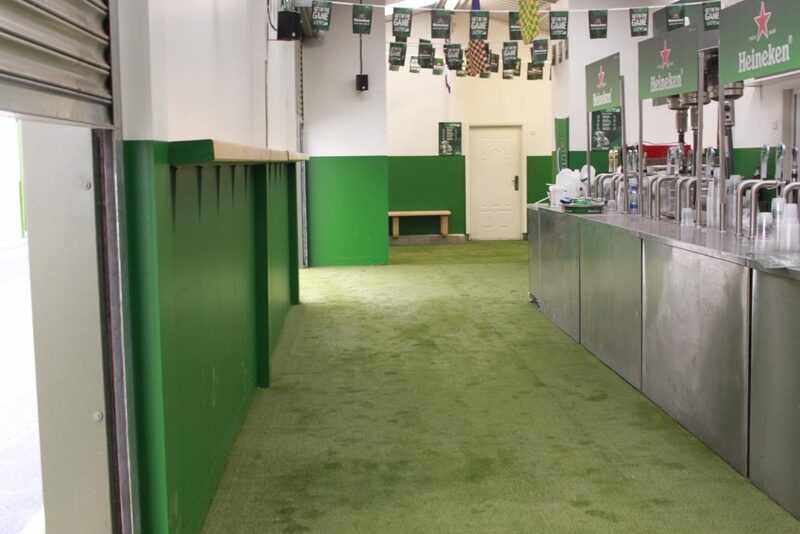 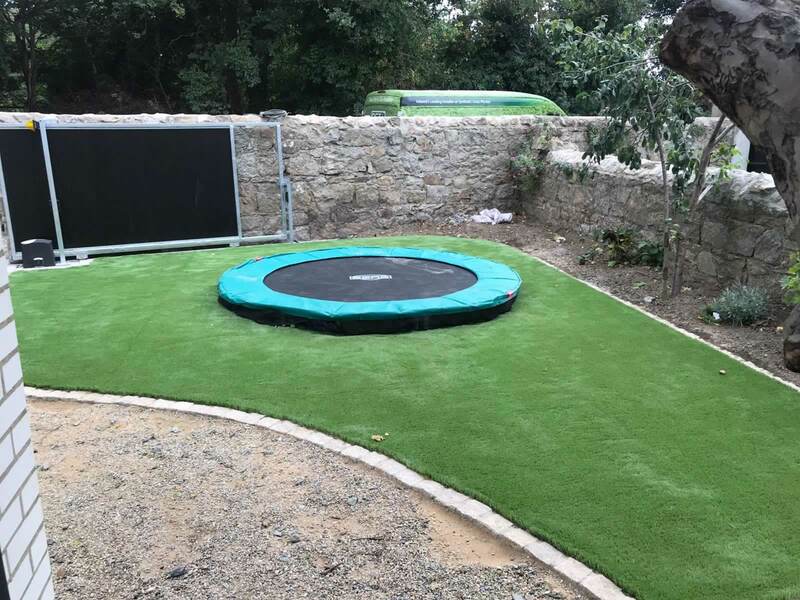 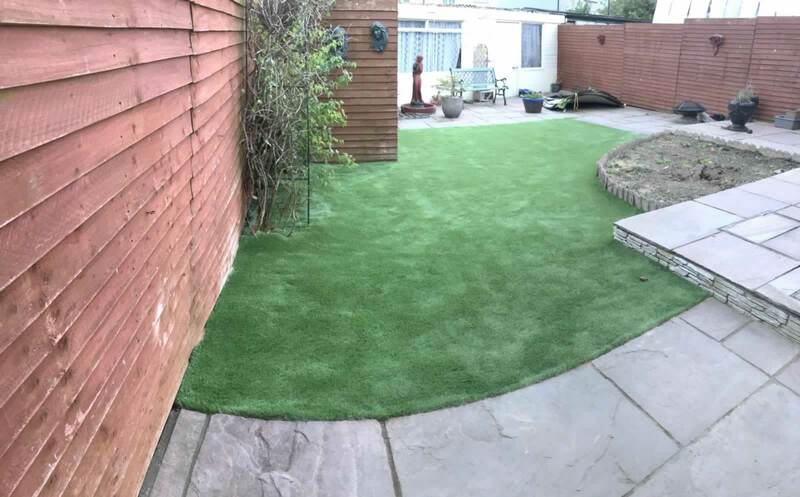 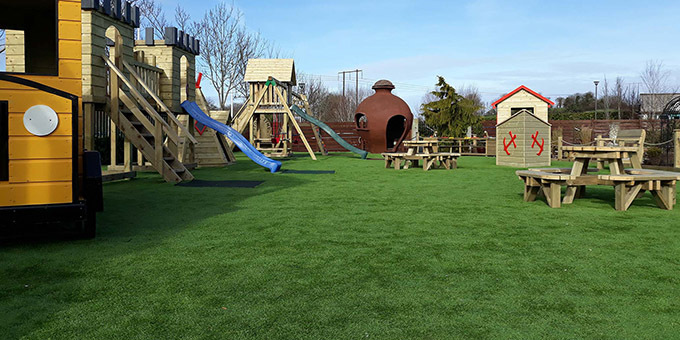 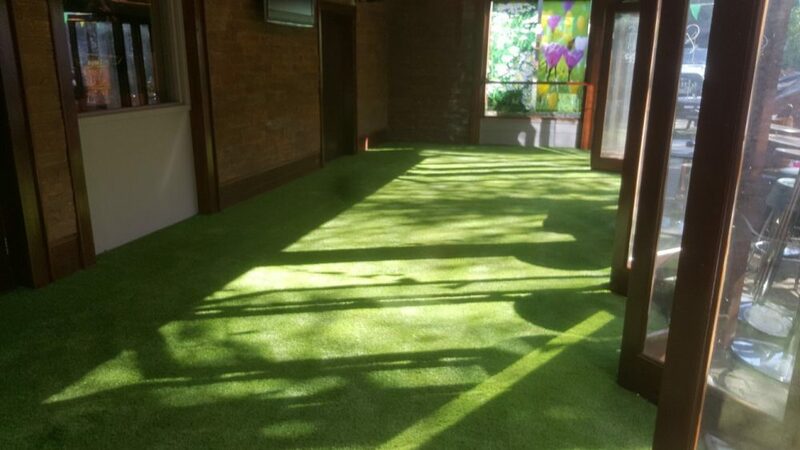 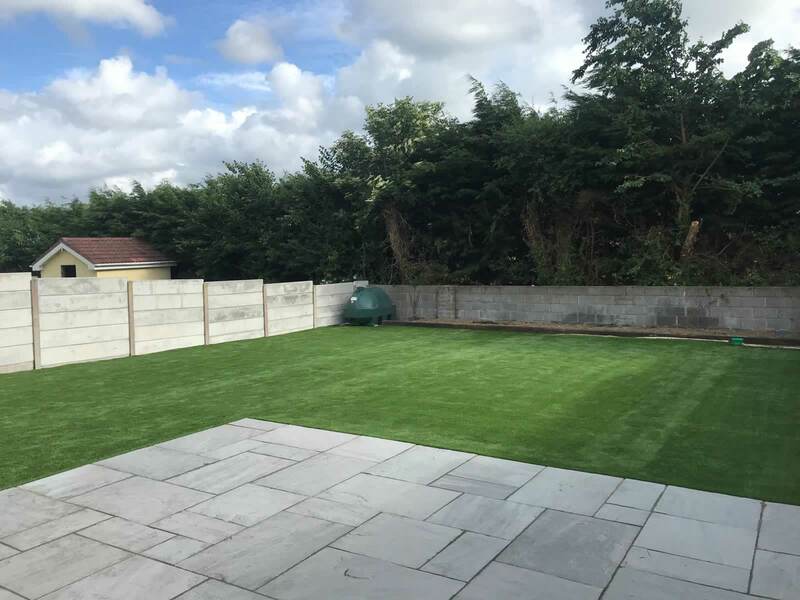 Our artificial grass carpet products are ideal for front and back gardens, slippy decking areas and drab patio/concrete areas, dog runs, rooftop gardens, balconies, home putting greens and more. 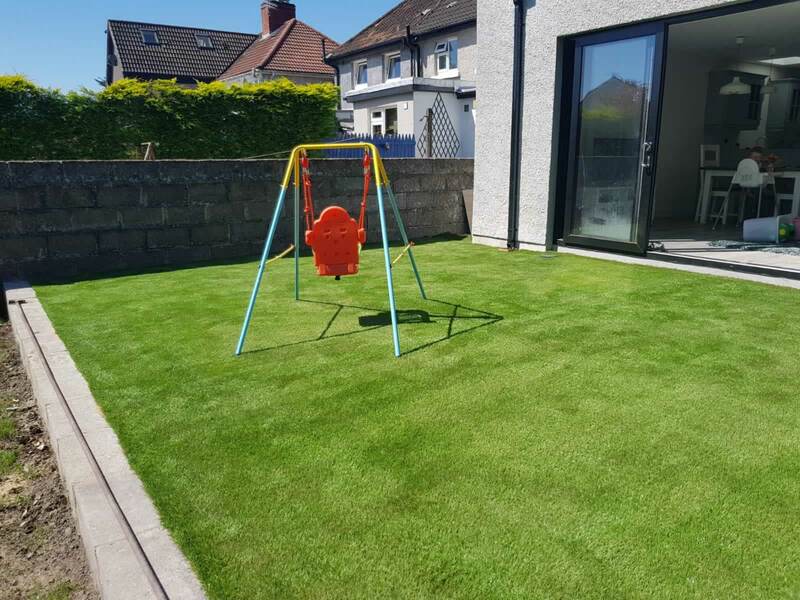 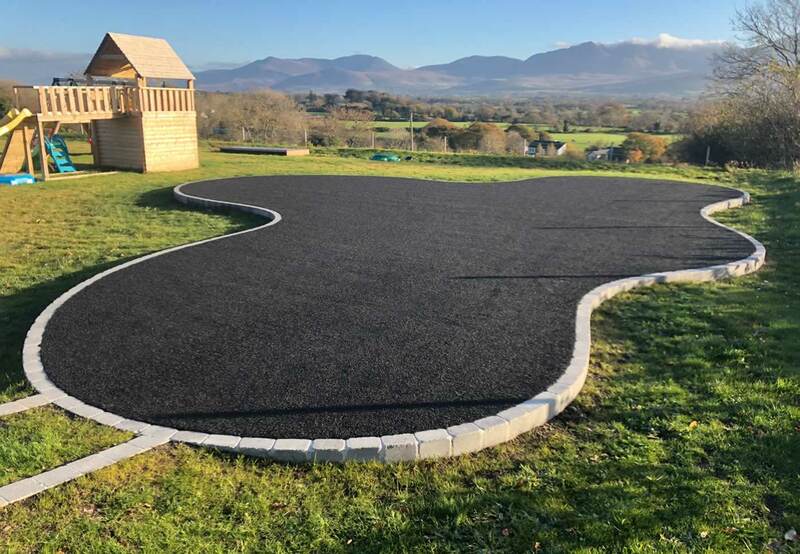 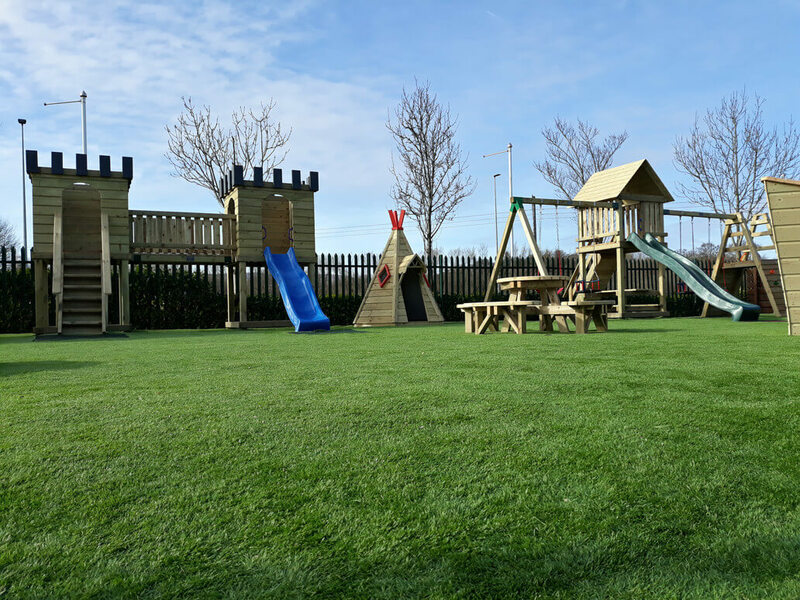 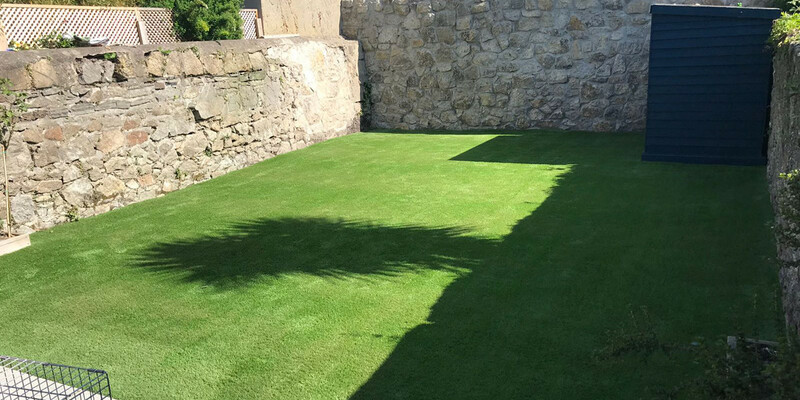 PST Lawns has developed a pioneering artificial grass lawn installation system that ensures a clean, safe and almost zero-maintenance alternative to natural grass. 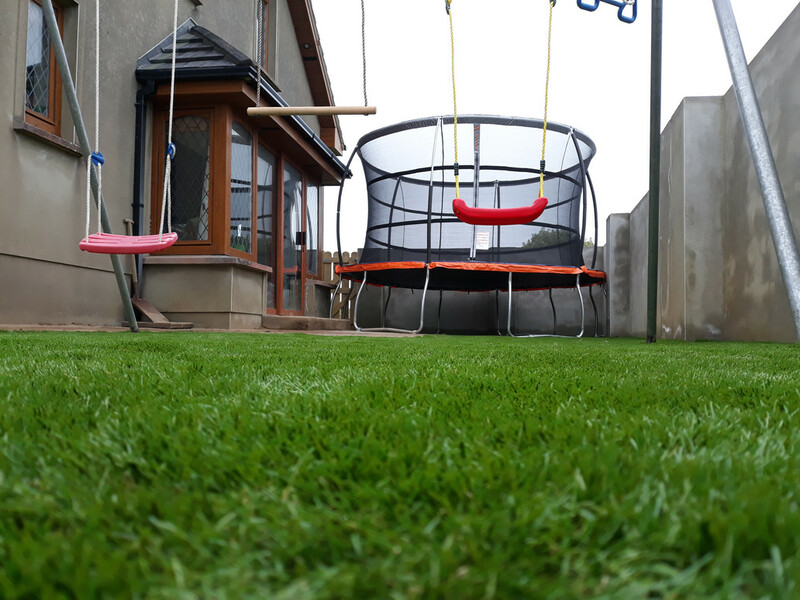 It’s perfect under swings and kids play equipment where natural grass would become worn with bare patches. 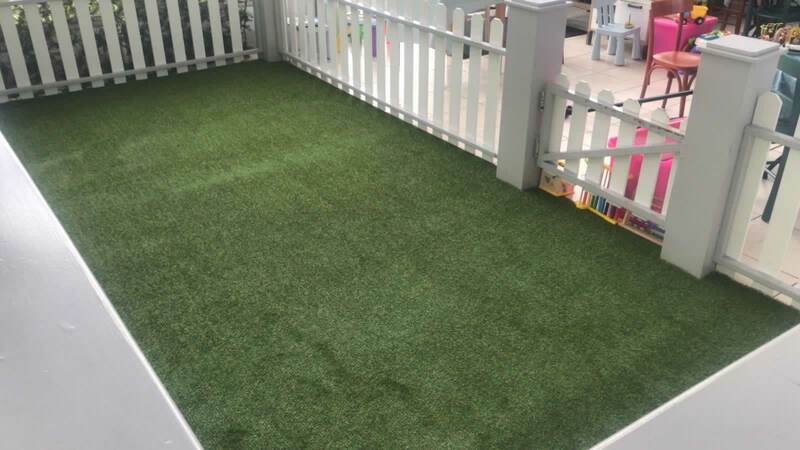 It’s also a great choice for terraces, balconies and other small spaces. 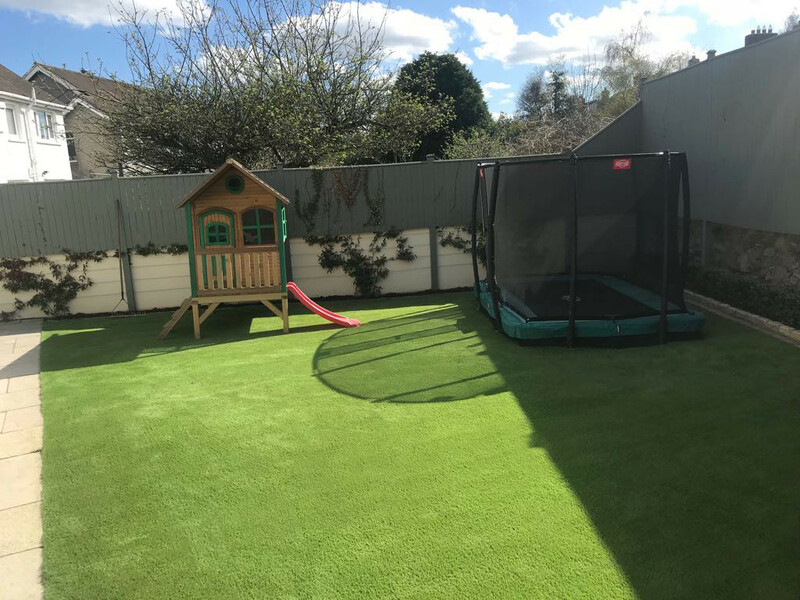 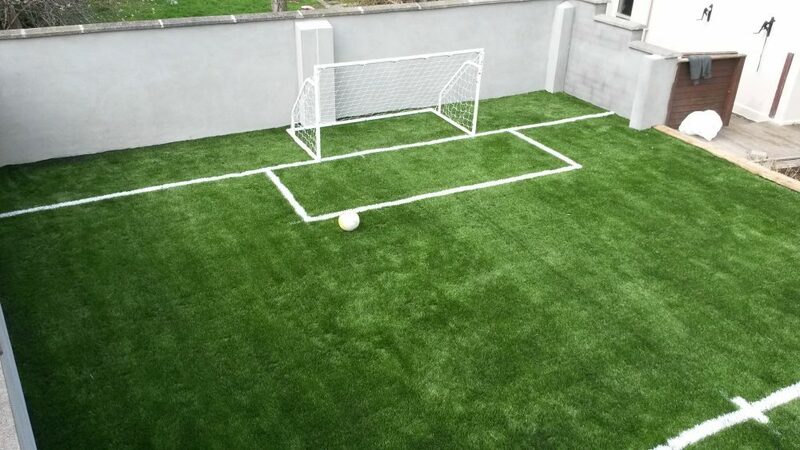 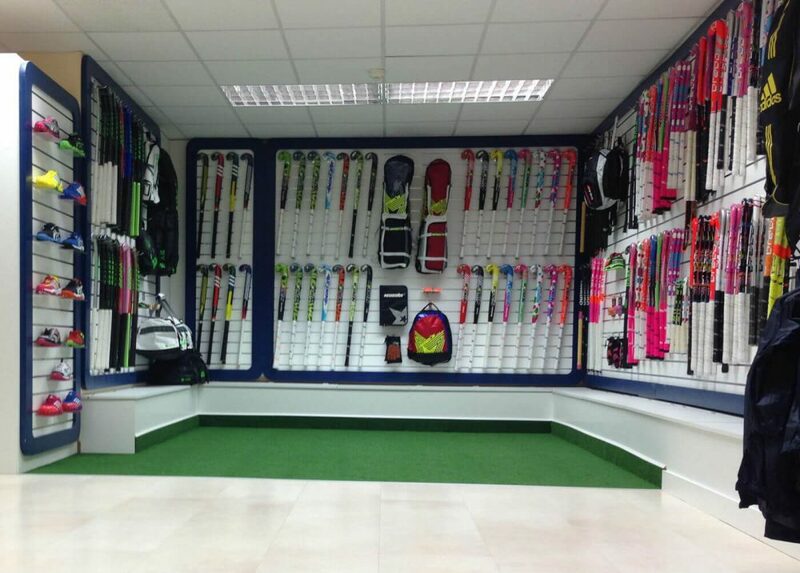 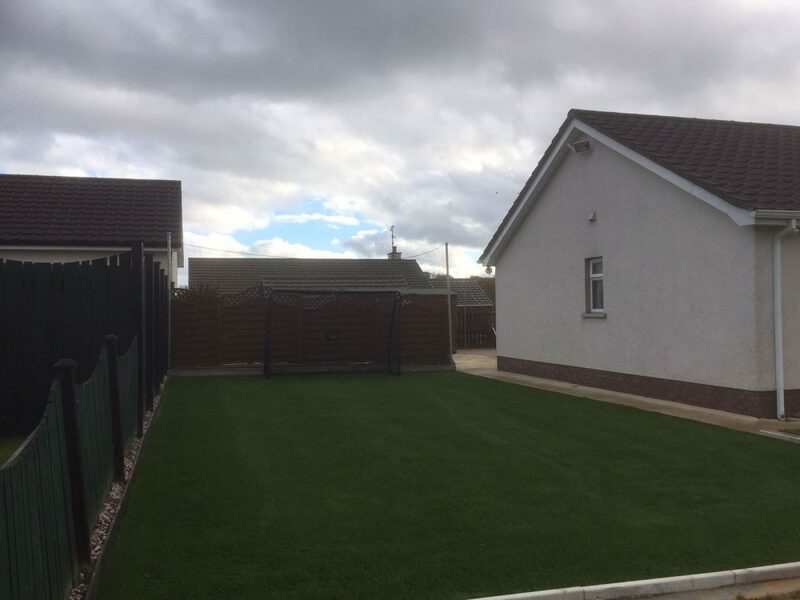 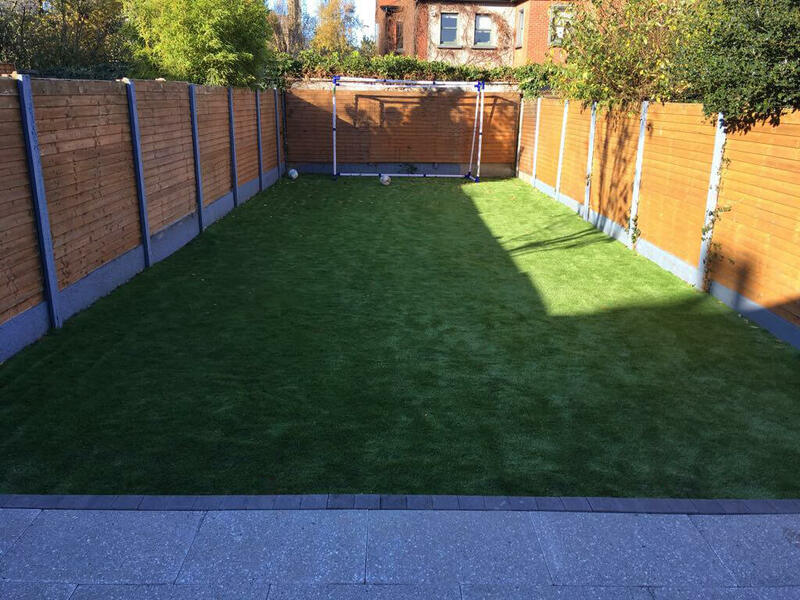 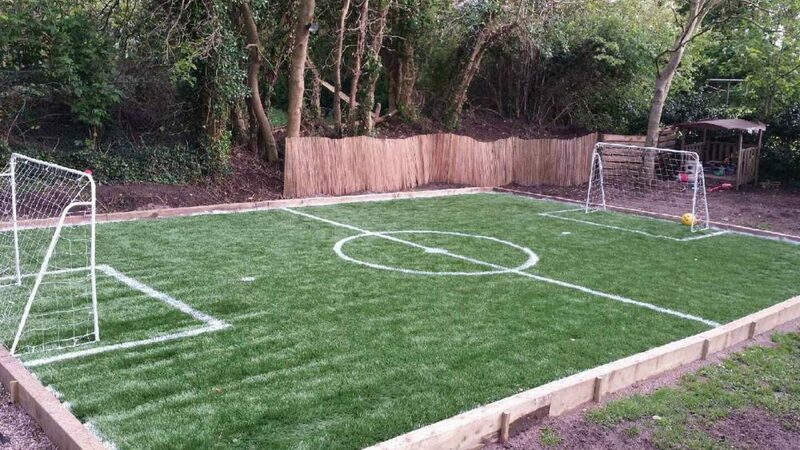 In addition, our artificial grass is extremely versatile, incredibly durable and long wearing and it will add value to your home. 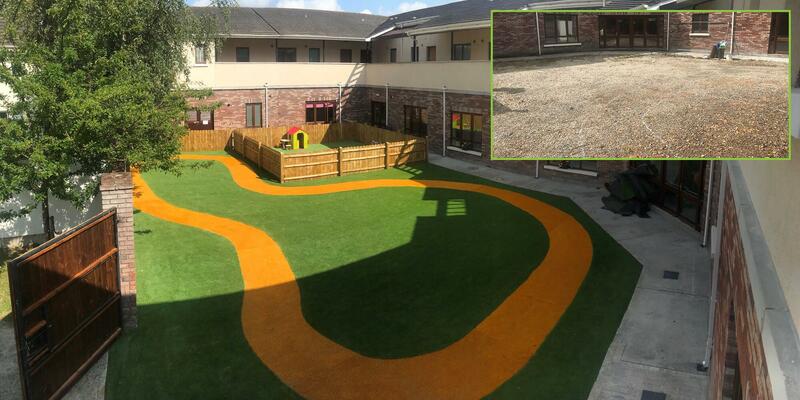 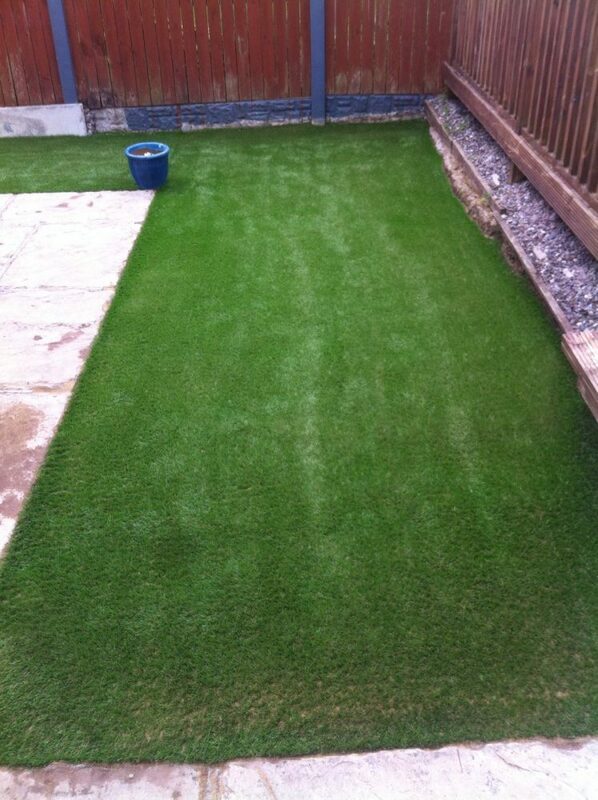 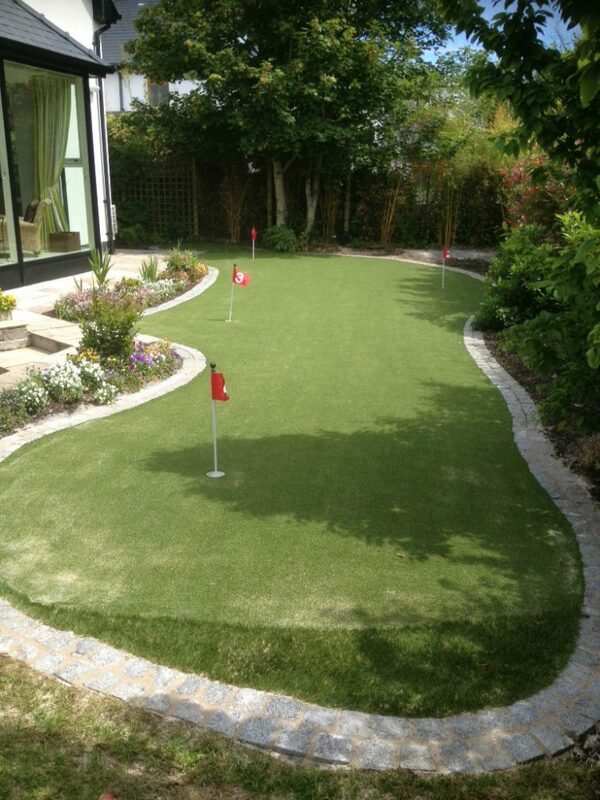 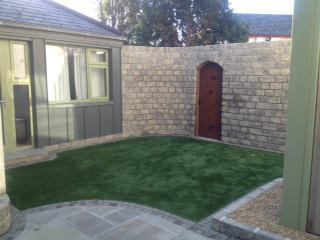 Pictured below: Large garden installation using our TRU Grass artificial grass. 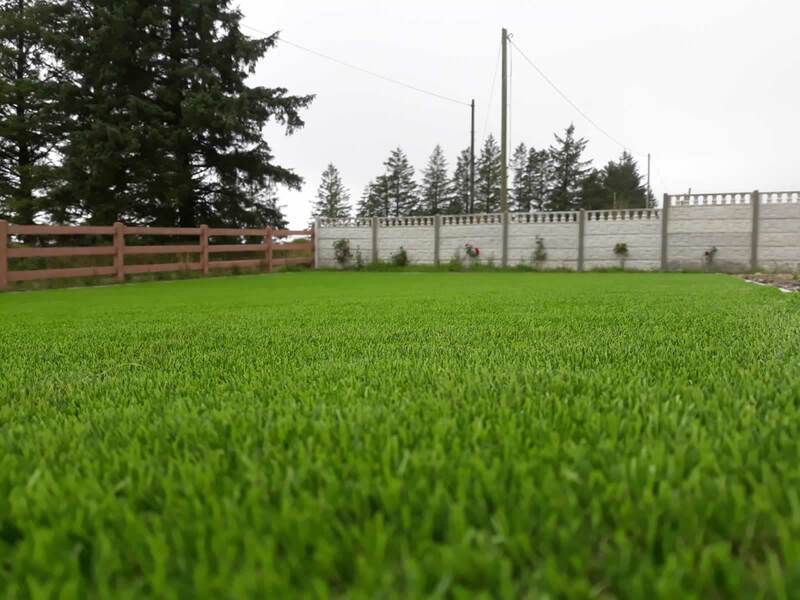 A grass lawn requires ongoing maintenance such as mowing and weeding. 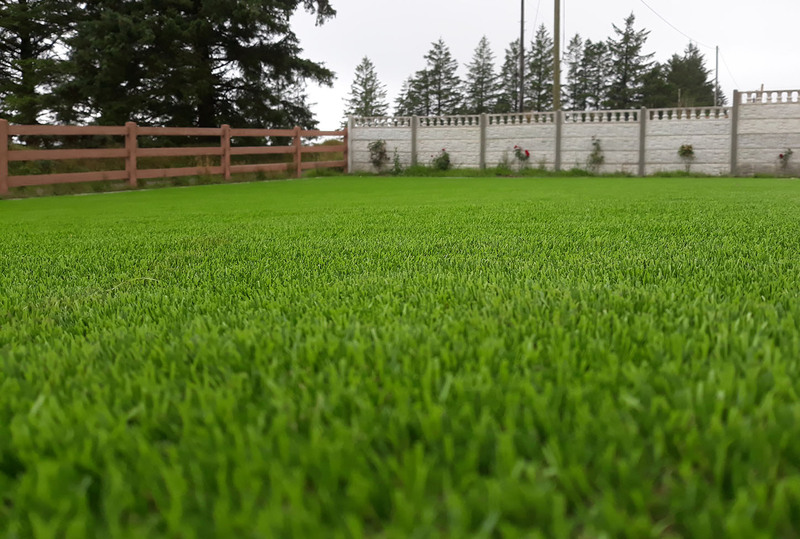 Also, constant wear and tear can result in unsightly bare patches while autumn/winter or spells of wet weather result in limited usage of a natural grass lawn. 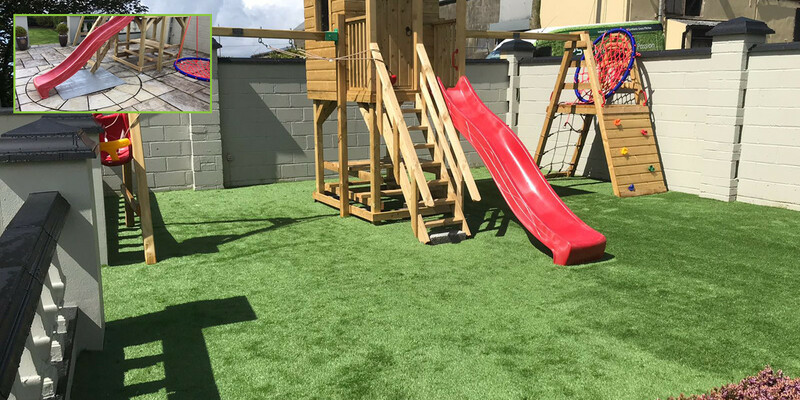 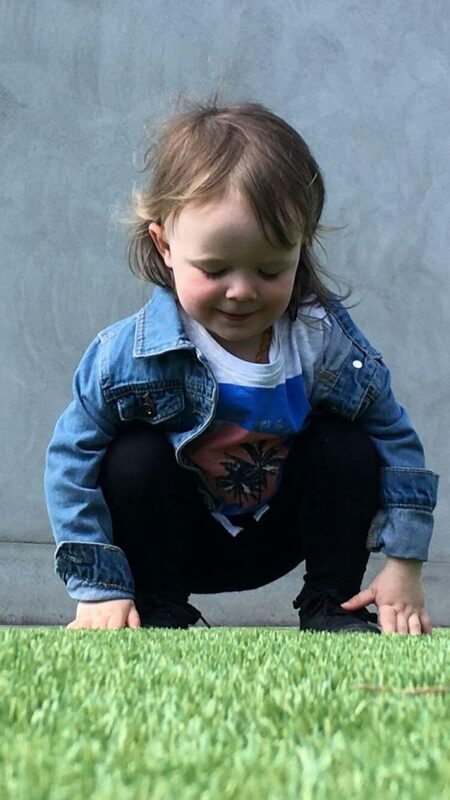 In addition, the placement of kids swings or slides commonly causes patches which become hard in dry weather and muddy in wet weather. 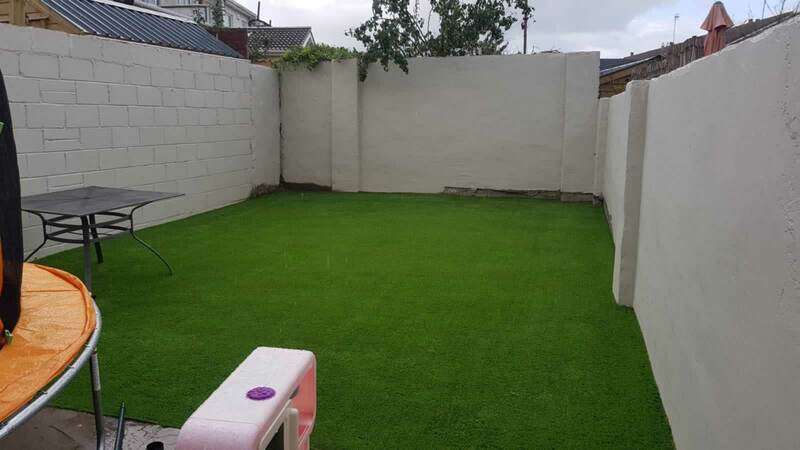 PST Lawns artificial garden grass is 100% safe and eco-friendly, weatherproof, resilient, long lasting and makes garden maintenance hassle free. 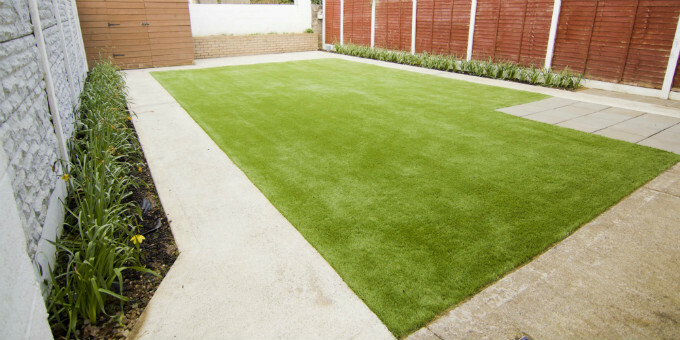 Our artificial lawns simply require an occasional sweep to remove any surface debris such as leaves, etc. 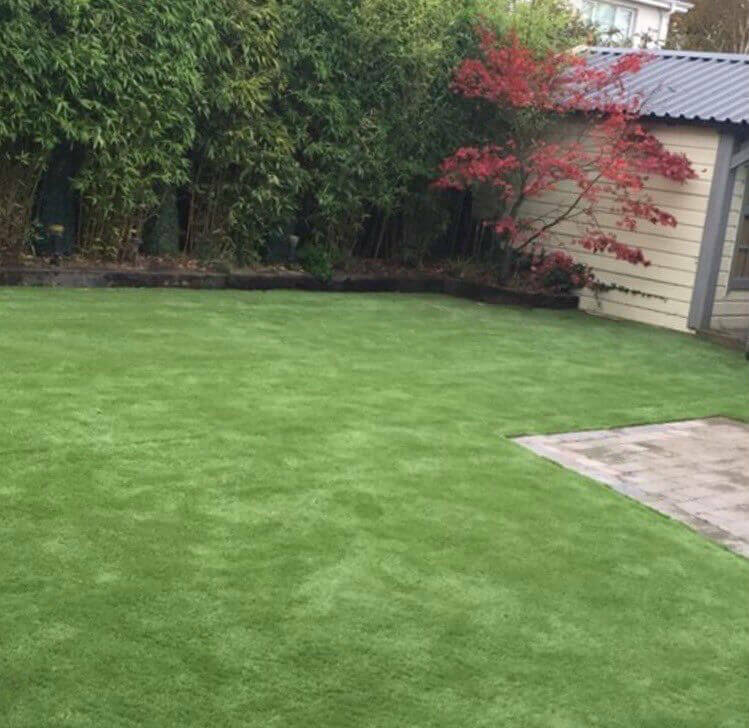 Whether you want your entire garden area covered or are just looking to only cover a small section, PST Lawns has the perfect solution. 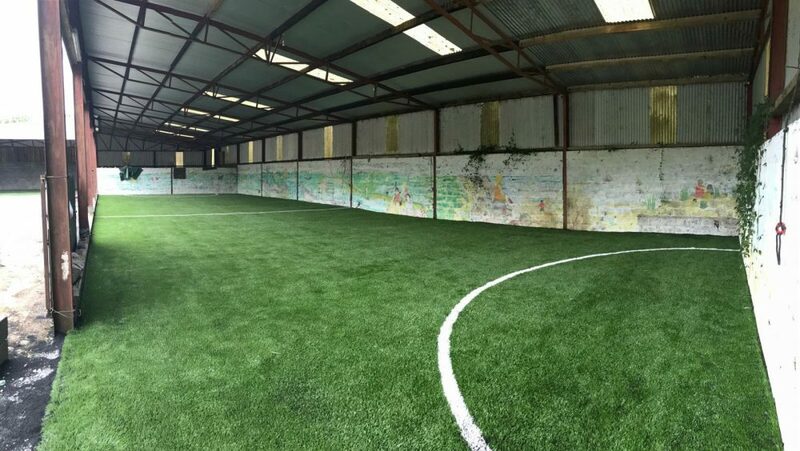 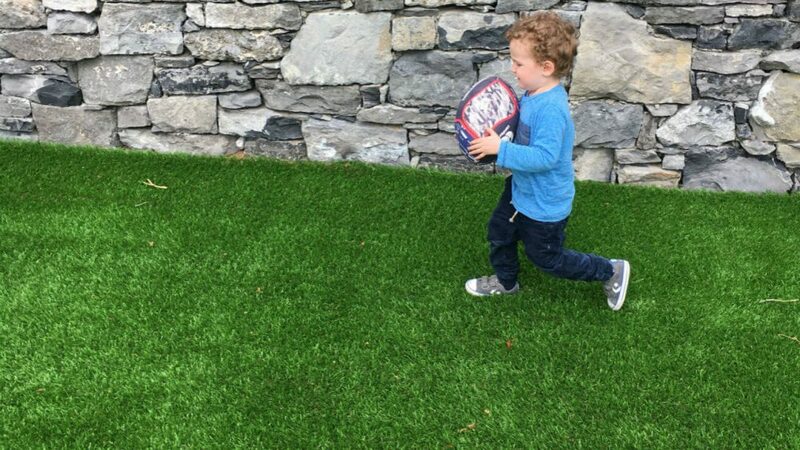 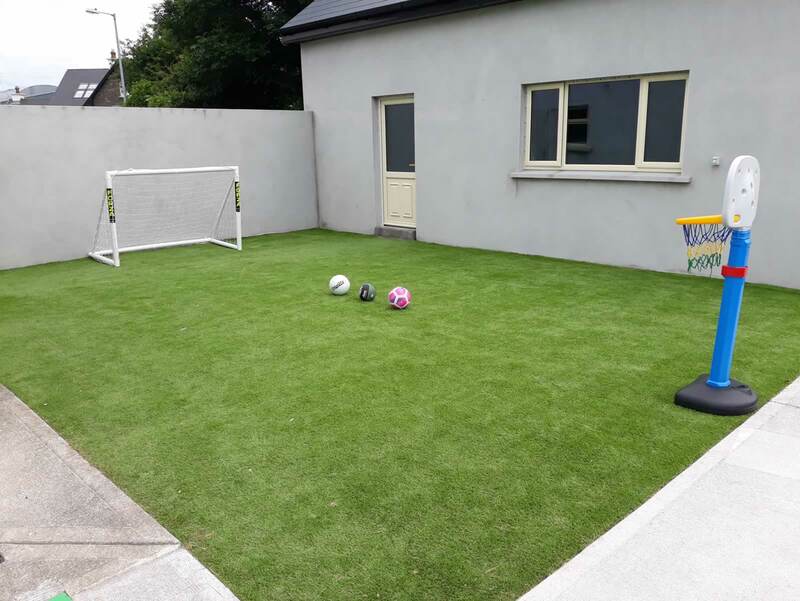 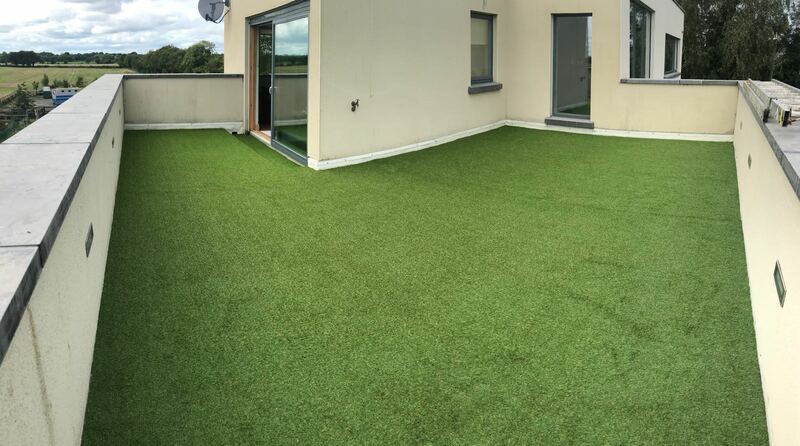 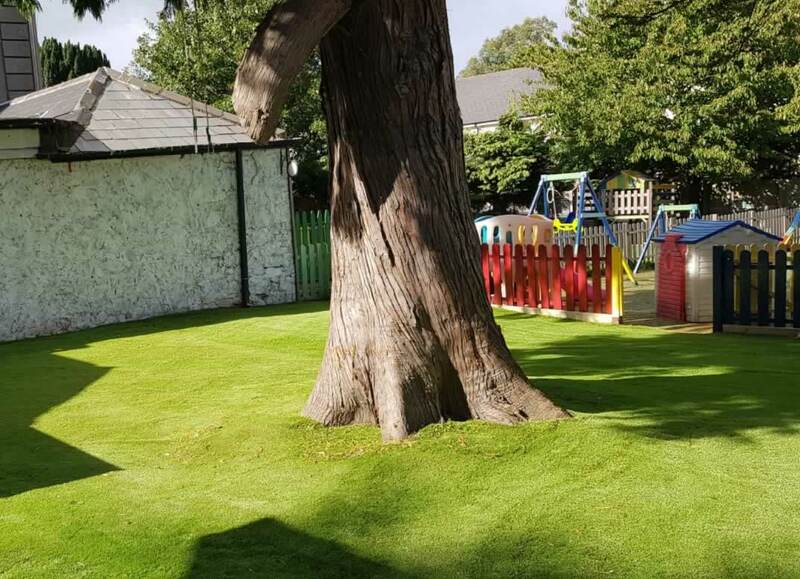 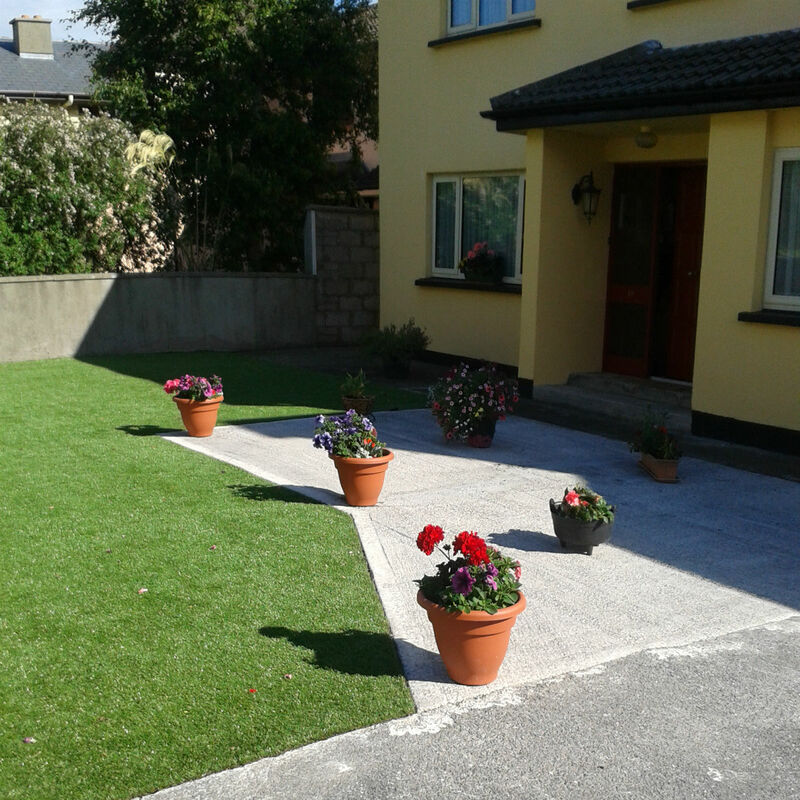 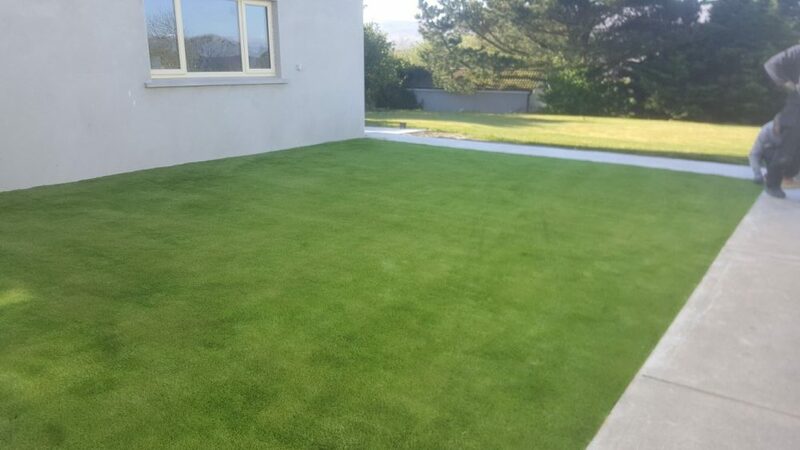 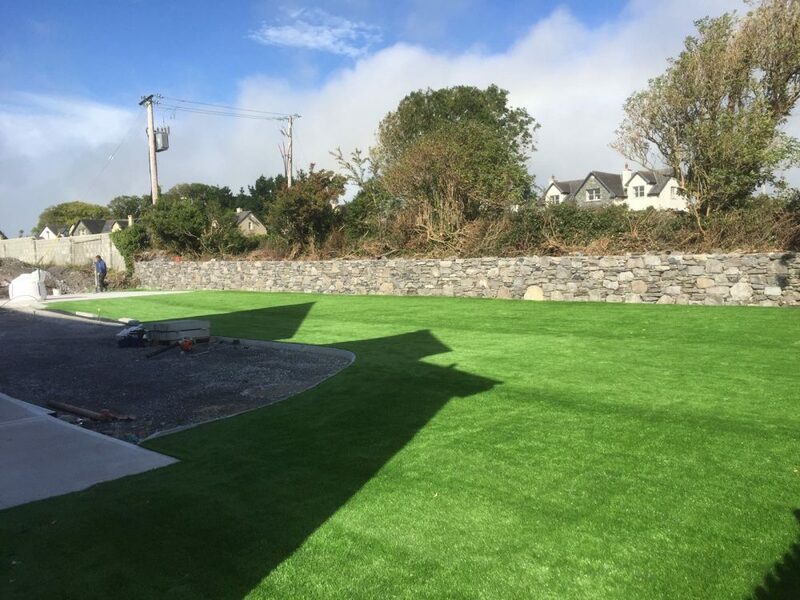 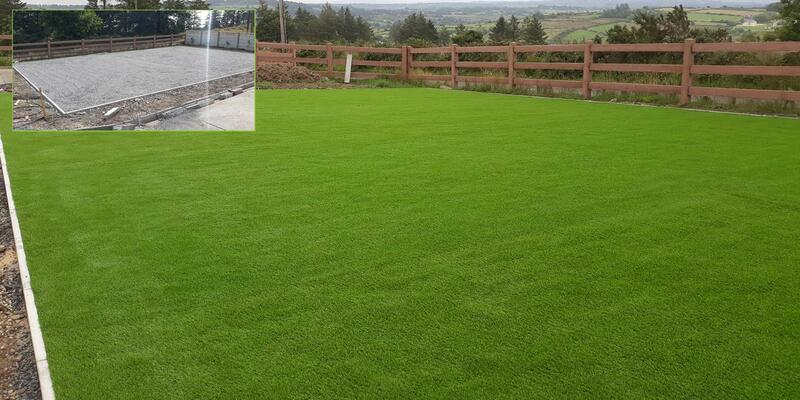 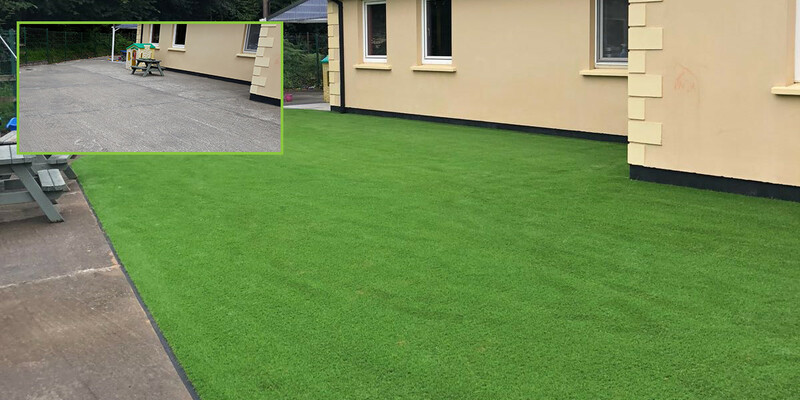 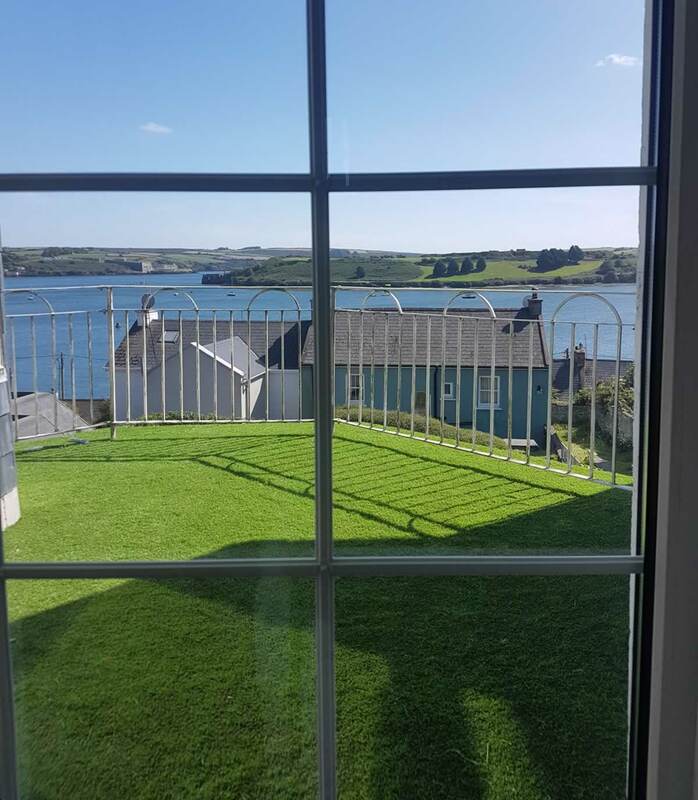 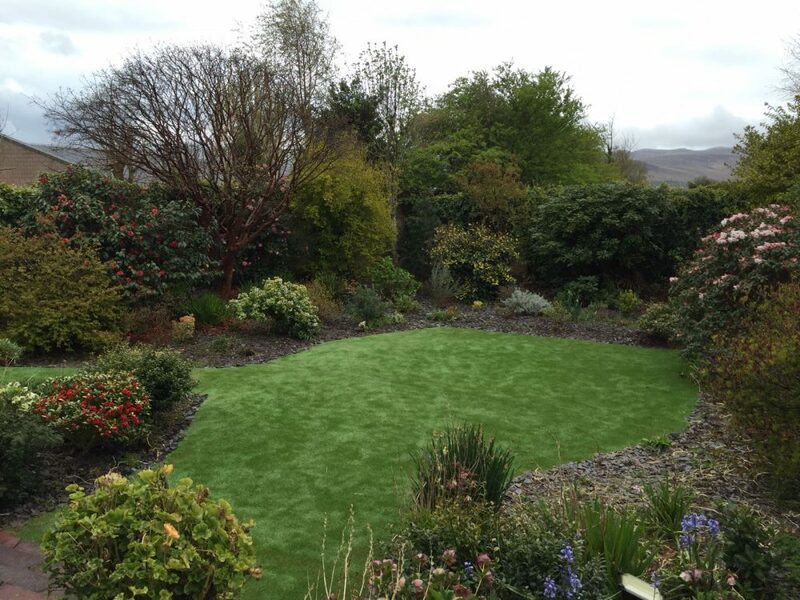 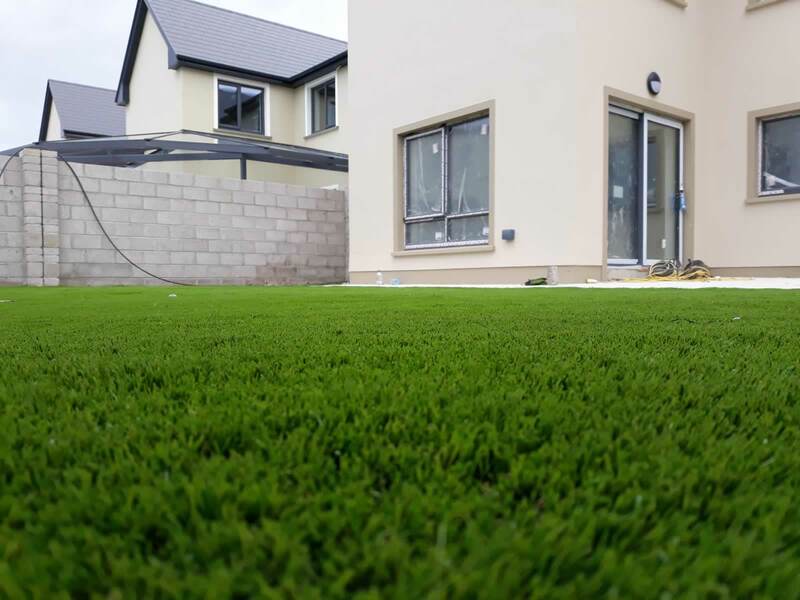 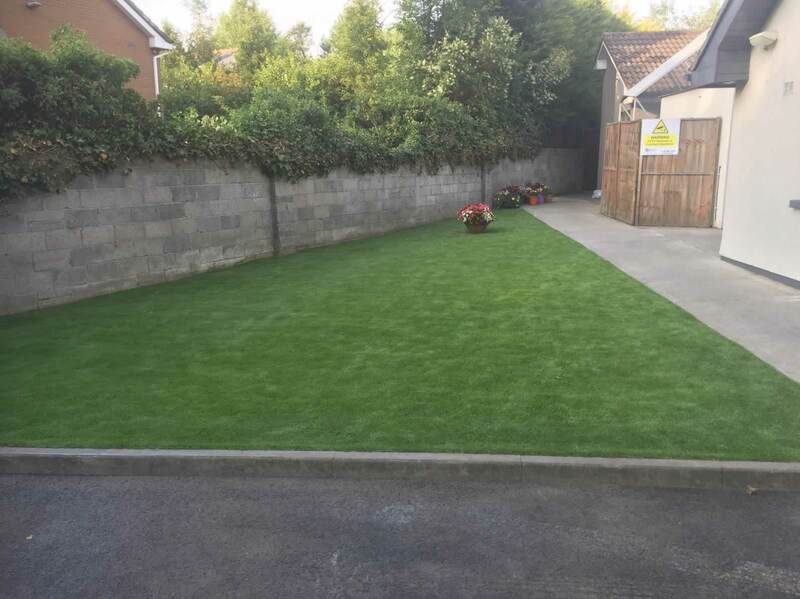 Pictured below: Our TRU Grass artificial in a garden in County Cork. 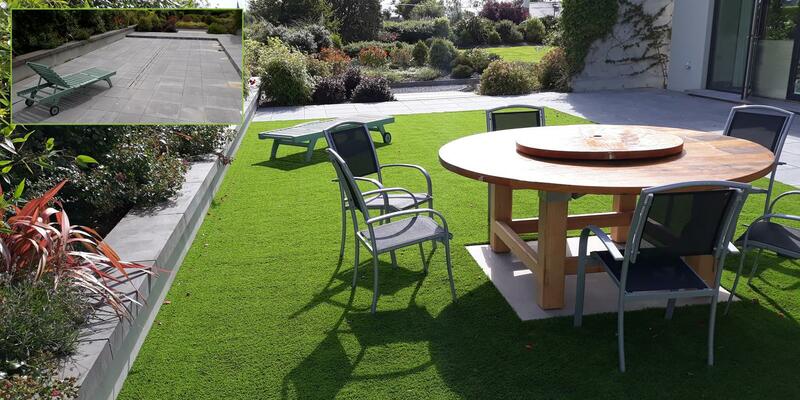 Great for large outdoor spaces!